What Happens When the Company You Work for Files Bankruptcy? 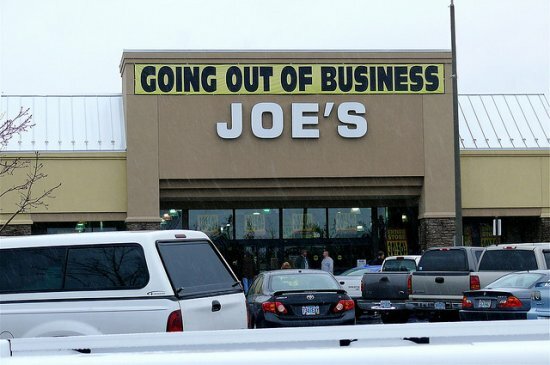 Is your company going out of business? You always hear on the news about this or that company filing bankruptcy. Large corporate bankruptcies often make headlines but small to mid-sized businesses can go unnoticed. And although bankruptcy filings are a matter of public record, that doesn't mean the information is easy to find or will be common knowledge. If your company has filed or may file for bankruptcy, this can be a concern for you as an employee. Today we'll take a look at what happens to employees when their employer goes belly up. As with personal bankruptcy, there are two main types. Businesses can file Chapter 7 or Chapter 11. With a Chapter 11, the business is trying to reorganize its debts in order to stay afloat. In a Chapter 7, the business is calling it completely quits and looking to discharge as many debts as possible, sell off their assets and close the doors. If your employer is struggling and files Chapter 11, you may not know it unless the company reveals it to employees or it happens to make the news. With a Chapter 7, your employer is obligated to inform all the employees once they file. What happens to your wages and other benefits if your employer files Chapter 11? If your company files Chapter 11, you shouldn't see too much of an upheaval in terms of your wages being paid and your benefits being honored. However, this is a sign that there's trouble and layoffs often accompany this type of bankruptcy filing as companies look for ways to cut costs so they can get caught up on their debts and keep the doors open. If your company files Chapter 7, you may want to update your resume, begin looking for a job and firm up your network of business contacts. If things continue to deteriorate, you may want to go ahead and look for another job before layoffs spread or the company decides they can't pull through and converts to a Chapter 7 liquidation. Roughly 75% of companies that file for a Chapter 11 will not pull through and will likely end up going out of business. What happens to your wages and other benefits if your employer files Chapter 7? If your employer files a Chapter 7 bankruptcy, they are legally required to notify you. This is the beginning of the end and there is little doubt that, if your employer has taken this very serious step, you will lose your job. In addition, if you are owed wages, there is a chance you may not get them. Some companies file Chapter 7 and then don't pay the wages you're owed because they have no money. Legally, employees are top of the list for debts the company must try to pay, so you and your co-workers will be prioritized over other creditors. However, this doesn't mean that you will see any of that money. Your pension should be safe because there are laws protecting it. Also, if you are let go from your job as a result of your company filing Chapter 7, you will likely qualify for unemployment benefits. As soon as you find out your company has filed Chapter 7, looking for another job immediately is the best way to protect your finances. Many of the North Carolina consumers that come to us to file personal bankruptcy have experienced job loss that left them with a load of debts they can't pay. If you've been struck by job loss and are now struggling with more debt than you can afford to pay, a North Carolina bankruptcy may be a good solution to get you the financial fresh start you deserve. Contact the law offices of John T Orcutt for a free consultation today at one of our convenient North Carolina locations.